The arithmetic for self-consumption have long been positive for homes and businesses but now, in addition, we find ourselves with the tailwind that provides us the Spanish Ministry of Ecological Transition that it is unambiguously betting on solar energy. Am I going to amortize the investment? All the models point out that in most cases the installation is amortized (between 6 and 8 years depending on how much energy you use) and, in addition, it must be taken into account that the installation normally has a guarantee of 20 years and can reach a useful life of up to 40 years. The repayment term depends a lot on your electricity bill, the orientation of our roof and the prices of energy in the future. This third factor is external but it is easy to imagine that prices will not come down in the coming years. In the last 10 years everything have gone up in this country except salaries! In any case to give you an approximate idea of how much it would cost you and of the amortization periods some companies have calculators for solar self-consumption. We found this tool. You introduce your address, draw the approximate orientation of your roof and it gives you the number of panel you require the price of the installation inclusive of VAT and the possibility of financing the installation with the electricity you are consuming at the moment. In my case it tells me that I need 5 panels and the total investment will be of 5.410€. If the budget you have is acceptable to you, the rest of the process is simple. The installation itself can be carried out in a period of between 2 and 3 days but the paperwork will probably take 2 and 3 weeks depending on the region you live. What maintenance do they need? Solar panels hardly require maintenance apart from an occasionally cleaning (for example, when 4 to 6 months have passed without any raining) so the tools you need are an old t-shirt and a spray with water (do not spray alcohol products) just a simple washing up liquid and clean water will suffice. What happens to the energy that I have left over? The energy that you have left can go into the network, for the time being, there is no benefit for you but it does not harm you either. Take it with philosophy because in Spain the law doesn’t contemplate obtaining a payment for your leftover electricity but that is for the time being, although the door to "net billing" has now been opened, with this new socialist government. Finally, who do I call to install solar panels? If you are already determined to buy a solar panel installation for your home or business, you will surely want to compare different installers, equipment and prices. 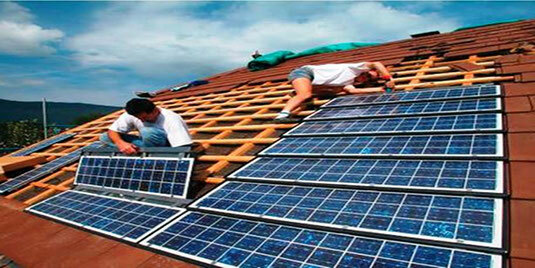 But, you will quickly realize that choosing a qualified solar panel installer can be a great challenge. The solar industry is growing at a very high rate, but it is still a young industry, and this makes it more complicated to identify really qualified professionals. The good news for you is that we have evaluated many solar panel installation companies and we have learned how to select the best ones. Here we show you a short guide to find the best installer of solar panels for your home or business. This is obvious to anyone who has made a large investment, purchase or repair. But it is vital to value and see various offers from different installers. The purchase of a solar panel installation is an important decision that requires careful consideration because it can be an important investment, so it is highly recommended to speak with several professionals in your area. 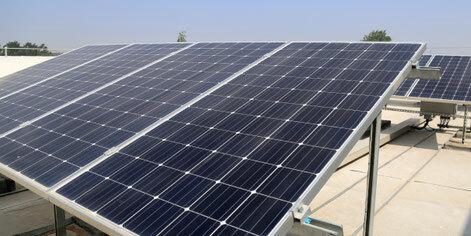 Each installer can offer different types of solar panels, or suggest different installation designs. When comparing several companies, you can see which technologies and financing options are best for you. Comparing several solar panel installers, you can also make sure you get the best possible options. Not only can you compare prices, but you can also compare equipment, guarantees and any maintenance services. It is important that you ask about the differences that exist between the different offers you receive; this will help you to decide which option is the best. How to use white color in the decoration of your home?